The Brassica genus belongs within the mustard family. 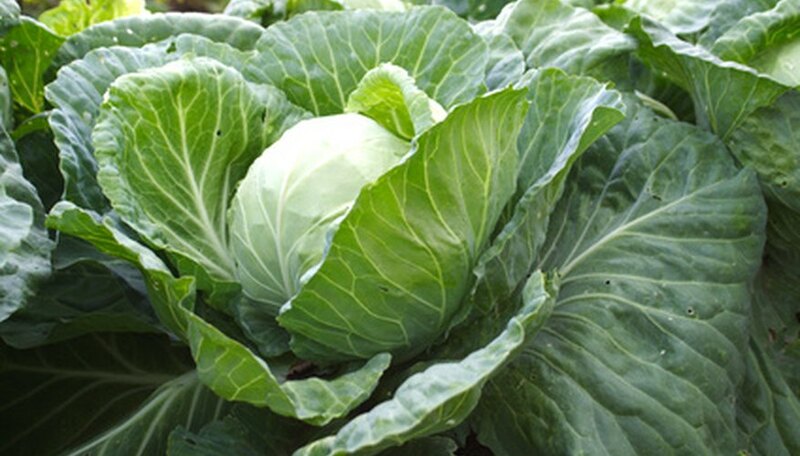 Numerous plants, such as the turnip, cabbage, cauliflower, cabbage greens and Brussels sprouts fall within the Brassica group. Despite the large variance in leaf structure, size and vegetable production, all the plants within the genus share a common ancestor and have been bred through diligent selection to produce the varying vegetables for human consumption. For 20 years, Dr Paul H. Williams, Professor of Plant Pathology at the University of Wisconsin-Madison worked with the Brassica plants to shorten the life cycle of the plants from their normal six months down to only five weeks, according to Mount Holyoke College. Shortening the life cycle allows gardeners the ability to harvest crops sooner and often plant two or more consecutive crops in a season. Work was also done to breed uniformity to the plants appearance and flowering. The lifespan of Brassica now ranges from 35 to 45 days. The day count begins when the seed is first planted and ends when harvest can be obtained. Once the seed is planted tiny leaf buds form within five days. Flowers begin to appear when the small plants are only 11 days old. Pollination of the Brassica can occur over a period of three to four days following flowering. The plant requires cross-pollination to fertilize its flowers. This is achieved by the use of bees. A bee lands on one of the flowers to gather pollen and than the bees flies to a neighboring flower. Once the bee lands on the neighboring flower, a bit of pollen falls from the insect and fertilization occurs. Fertilization always occurs within 24 hours of the pollen falling from the insect. Once the flower of the Brassica is fertilized the petals fall away. The middle section of the flower forms into a pod after fertilization. The pod begins to swell and elongate. The Brassica will continue to produce seeds until it reaches approximately 35 days of age. During the final 38 to 45 days of the Brassica plant's life cycle its leaves begin to yellow and die. The seed pod dries and bursts open to release its seeds once the plant reaches 45 days old. The seed pods can also be gathered prior to bursting open for planting the following season. It is advised to harvest the seed pods when the plant is approximately 40 days old, according to the University of Hamburg in Germany.